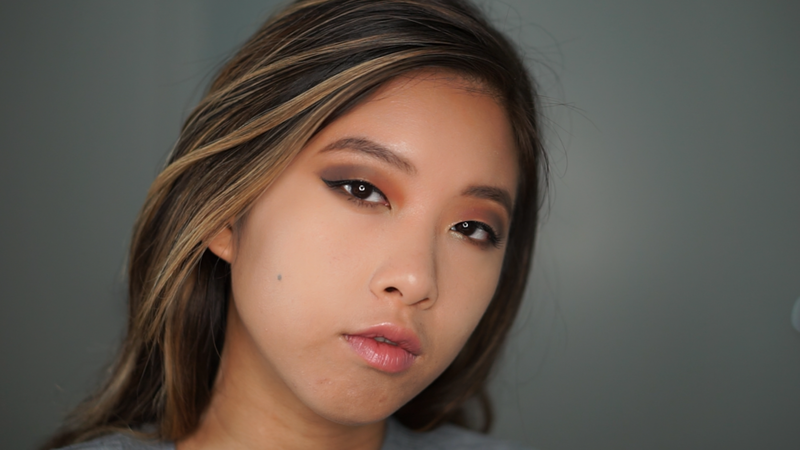 Anastasia Beverly Hill's Subculture Eye Shadow palette just screams FALL to me! All the colors are so gorgeous and really fun to play with. There are a lot of mix reviews on the palette out there, but I think that's just the perfect example that first impression isn't always everything. It's definitely one of those palettes you really need to "break in" in order to use its full potential. The colors are not the easiest to blend because it is super pigmented and the shadows are super soft. But once you start using it, you will realize the colors are actually very build-able and you can intensify the eye shadows however you like. Also, each color is so gorgeous by itself that you could easily do some monochromatic looks! Here I am sharing three different looks using the palette, which look do you like the best? If you want to try out ABH Subculture Palette but don't want to spend the money, I am doing a Fall Giveaway giving out both Anastasia Beverly Hills Subculture Palette & Anastasia Beverly Hills Modern Renaissance Palette! 5. The winner will be announced in 3 weeks! GOOD LUCK!!!! !